With the weather heating up in Berlin, and cheery blue skies now more common than suicide-grey ones, it was time for my first trip to one of Berlin's many lakes. I decided on Wannsee after a little online research, and yeah, I'll admit it, the thought that it would make a catchy headline – see what I did there? Wannsee is located in the southwestern Berlin borough of Steglitz-Zehlendorf and provides two lakes for the price of one – Großer Wannsee and Kleiner Wannsee. And, with my funds as low as most people's in Berlin, anything that's two for the price of one gets my vote. 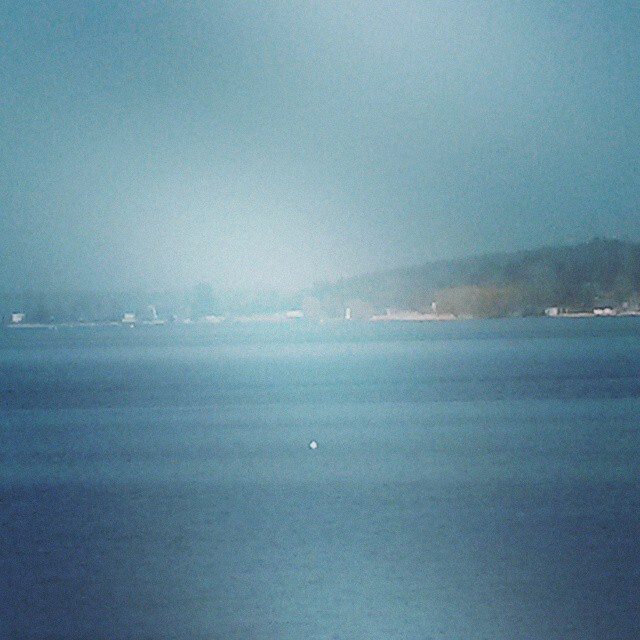 The lakes themselves, especially the Großer Wannsee are beautiful, and well worth a visit. Insanely popular in summer, at this time of year they weren't overcrowded; it was just me, a few fishermen, and a number of other people out enjoying the sunshine, either on bikes or on foot. Unfortunately, this meant that there were no naked Germans either – in fact, I was probably the most naked person there, fifteen degrees in Ireland being considered a veritable heatwave. One man, old enough to be my grandfather, but energetically cycling around the lake had the good sense to call out to me to cover up a bit, that it wasn't that warm yet. I smiled back in an agreeable way, but continued to expose my goose pimples to the weak sunshine anyway. With the sun shimmering on the still waters, I relaxed and thought how marvellous it was to be so close to the sprawling metropolis that is Berlin, yet still have easy access to this peaceful lakeside other-worldliness. That being said, it is Berlin, so there are always a few dark and twisty things you can do to bring yourself back to reality. 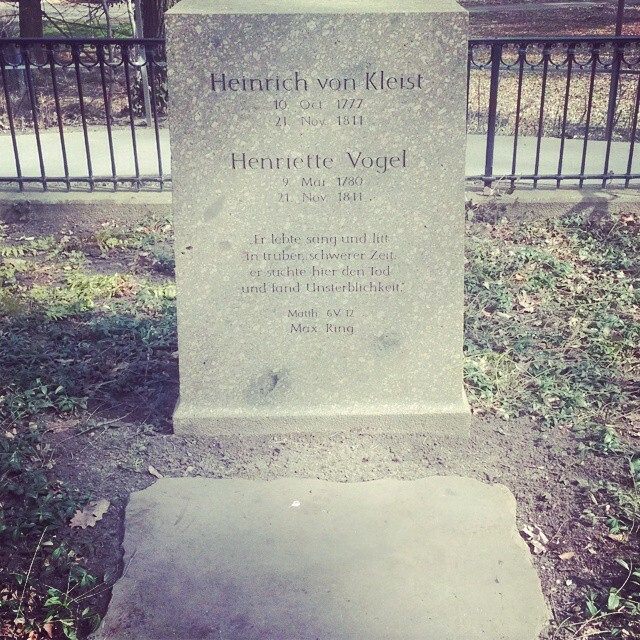 A short stroll to the Kleiner Wannsee (past a roaring, tourist-scaring drunk the day I was there) brings you to the leafy memorial site of Heinrich von Kleist and Henriette Vogel. Heinrich von Kleist was a German poet, dramatist, novelist, short story writer, and, by all accounts, a bit of a restless soul. After serving in the Prussian Army, his travels took him to Paris, Switzerland, all over Germany, to Prague, and then, finally, to Berlin. 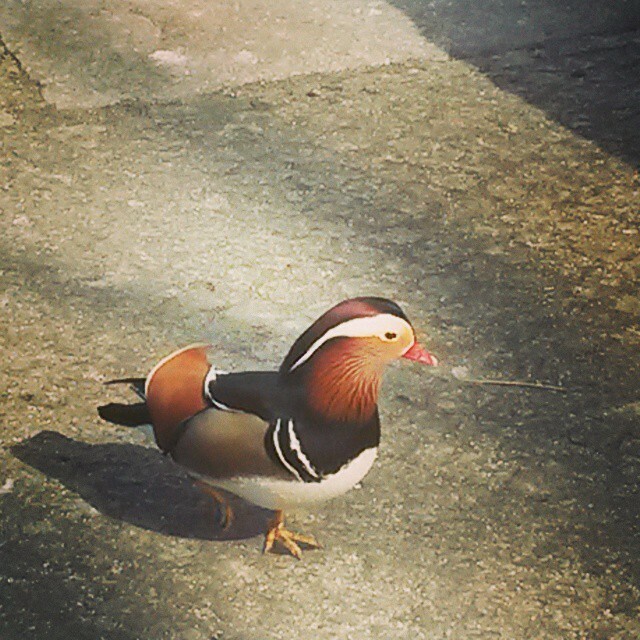 Vogel was no slouch either, and was described as intellectually and musically accomplished. Unfortunately, she was also dying of cancer. On the peaceful banks of the Kleiner Wannsee, in one of the most famous suicide pacts in history, Kleist first shot her in the chest, then himself in the head. They were just 34 and 31 years old. Because of the nature of their deaths, they were denied church burial, and were instead, buried where they fell. 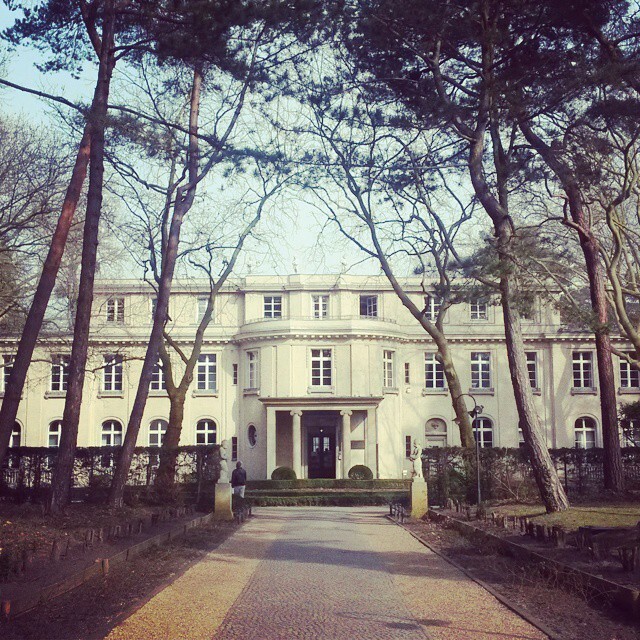 Another site of major historical interest, the House of the Wannsee Conference, lies within around 30-40 minutes' walking distance along the shores of the Großer Wannsee. It was here, in a former industrialist's villa, that in 1942, fifteen high-ranking representatives of the SS, the NSDAP and various ministries met to discuss their cooperation in the planned deportation and murder of the European Jews. Today, the building serves as a memorial and education centre. When you first see the beautiful villa, located as it is on the serene banks of the Wannsee, it's hard to reconcile it with what occurred there. Having done some reading on the centre, I'll admit that it took me a little time to gather up the nerve to walk in the door. I walked around the lovely gardens, sat on a bench overlooking the lake... anything to delay being faced by the horrors which surely lay inside. But, in the end, I was glad I did go in. Although far from a comfortable way to spend an afternoon, it was an infinitely worthwhile and educational one. The House is free to enter, and the exhibits are incredibly detailed and well laid out, taking you from the prehistory of the National Socialist persecution of the Jews right up to the present day stories of the survivors of the Holocaust and their descendants. While urging people to go and visit, I still can't deny that it was a relief to step back out into the sunshine afterwards. There are several other places of interest near Wannsee that I unfortunately didn't make it to that day, including Glienicke Palace, but that just gives me an excuse to go back again. And go back again I will. I imagine Wannsee in summer is an amazing place to be.